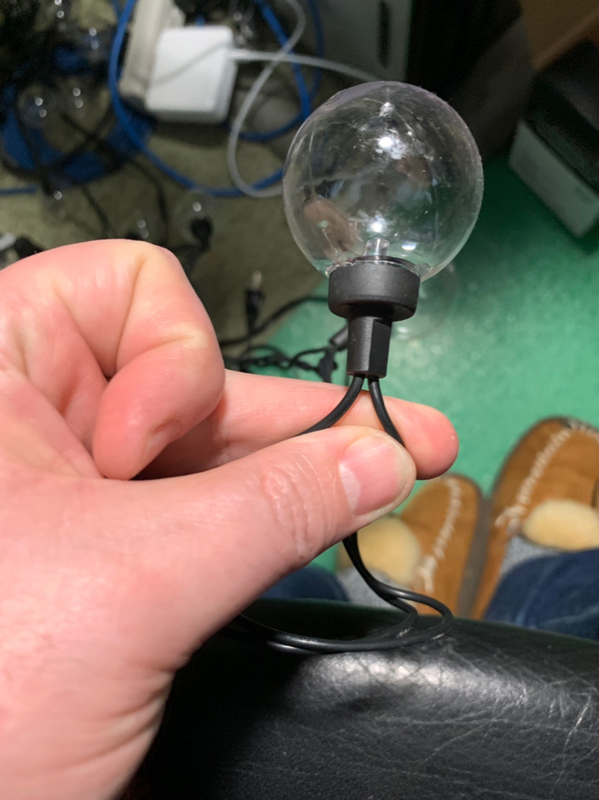 Does anyone have experience with these types of lights? I’d like to be able to at least choose the color orange or purple and then turn them on and off. The current controller alternates between the two colors at an interval. Thought I could connect each output to a different SSR Channel but no luck. They are 120v. I've not worked with these, but I would guess the controller is reversing a dc current. In one direction the purple lights, in the other the orange lights. Even though you are plugging them into 120 volts, the controller is sending a DC voltage. The large diode is being used to drop the voltage. It is based on the number of LEDs in the set. For example if there are 25 LEDs using 2.5 volts each the system maybe sending (25 x 2.5) 62.5 volts. Does the specs on the box help you with this? Is there an output voltage type and value given. Wow thanks for the insight. As I know very basic electronics That was very helpful and makes sense. Here is a picture of the box. It’s not very helpful. I only have one strand so it’s not super important that it works. More was trying to learn.